Meet Jon "The junk man"
Jon "The Junk Man" Rhodig is a team manager and crew chief for Team MGR (MGR Racing) and has been since its inception in 1996. The team consists of both ATV and motorcycle riders. Jon chooses to ride motorcycles over ATVs but since Team MGR rides and races at just as many ATV events as motorcycle events he has become very diverse in the workings of the sport ATV world as well. 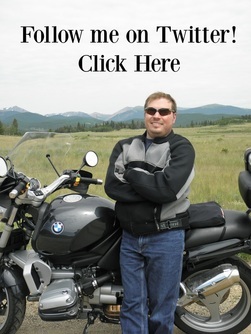 So if you need help repairing your motorcycle or ATV visit one of the VIDEO pages to learn a new tip on how to repair your motorcycle or ATV and save some money! In the over 15 years the team have been racing and promoting motorcycle and ATV events, Jon has picked up many tips and tricks along the way that he intends to pass along to the ATV world. According to Jon, I am not a pro racer nor ever will be but what I am is a knowledgeable regular rider out there to help the average rider get the most out of his or her ATV or motorcycle. 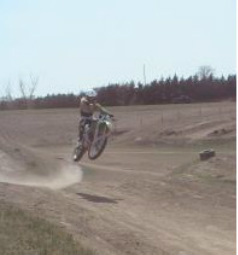 My riding talents are about as diverse as my knowledge. 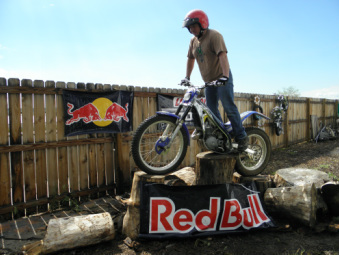 I participate in motocross, hares-crambles, dirt track, observed trials, mini-moto (pit bike) and just about any other motorcycle sport. Jon "the junkman" Rhodig creates and produces quality "how-to" and lifestyle web videos which can be seen by visiting the VIDEO pages on this website. For almost 20 years Jon has been making videos and short films, now using his talents with video to product quality videos to help the average DYI'er tackle seemingly difficult repairs with step by step instruction. Jon has also done several "product review" videos for unsolicited companies hoping for "The Junk Man's stamp of approval". Jon does not sugar coat any review of any product. 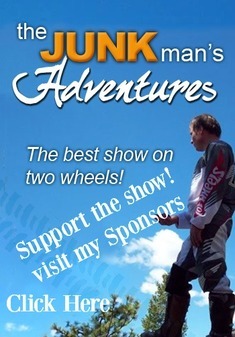 Jon "The Junk Man" does not endorse any product that he does not use himself personally. As crew chief of Team MGR, Jon and the team have ridden and raced just about any type of event you can think of, including a short run racing series on Speed Channel called Rapid Turnover which involved ATVs and motorcycles in the same race with a change over in between during the race. 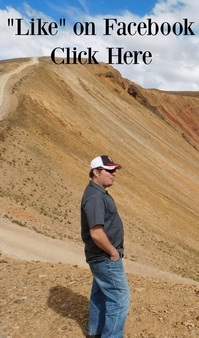 Jon also participates in some non moto related events and hobbies such as 10K road races, restoring motorcycles and automobiles, snow skiing and hiking. He is also known around forums as The Junk Man. Click to support this site! About ads on this site: This site (domain, web hosting) is supported solely by ad revenue. You may choose to use an Adblocker if you wish, but consider turning it off or white listing this site if you enjoy this content. If you would like to block ads AND still contribute something to the maintenance and production of content you can use Google's Contributor by following this LINK. It will remove the ads on this site and any others using Google Ads while still supporting the site.